As a homeowner, you know that things can and will go wrong in your home. And sometimes those things couldn’t possibly have been foreseen. Which is quite often the case when it comes to your sewer lines. Learning how often to have your sewer lines cleaned, the signs that indicate you may have a problem and what your options are once you do discover a problem, will help you make a more educated decision about what your needs are and how to go about having the repairs completed. As a good preventive measure you should have your sewer lines cleaned every 18-22 months. If you are experiencing problems more often than that, you may need to call a plumber and schedule a video inspection of your pipes. Your plumber will insert a video camera down through your pipes to help visually determine what other issues may be causing your sewer back-ups. That video inspection will then enable him to make the proper recommendation for whichever repair is necessary to correct the problem. There are several things that could cause sewer back-ups and they are not all due to dirty pipes. Sometimes they are, but not always. Roots: Tree roots penetrating your pipes are the number one cause associated with sewer back-ups. The roots grow into the pipes and will continue to grow until they fill the pipes completely. Or, in many cases, the roots will break the pipes, creating an even bigger problem. A video inspection will help confirm if you have tree roots growing in your pipes. Bellied Piping: A bellied pipe is simply a sag in your pipe. A sag can occur when part of your pipe slopes down, which creates a “belly” effect. This is usually caused when the soil around your pipe becomes loose and breaks, making the soil around your pipe unstable and allowing it to sink. Over time, a bellied pipe will allow waste to accumulate at the bellied part of the pipe, which in turn will create a blockage. A video inspection will tell your plumber all he needs to know and how to proceed with the proper repair. Grease: Grease is a pipes worst enemy. 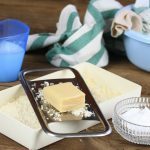 Many homeowners casually pour their old, used grease from cooking down the drain. This is the worst thing you could do. That grease will eventually turn solid which creates a blockage in your pipes. If this happens, you will need to have your pipes hydro-jetted. Have the problem diagnosed by a trained professional master plumber through the use of a video inspection to ensure you are getting the proper diagnosis for the problem. If tree roots are the issue, using a mechanical auger may take care of the problem. A sewer auger has a rotating spiral head with teeth that will cut through the tree roots removing the obstruction. However, this will only take care of the existing problem because the roots will grow back. Therefore, you’ll need to have a chemical tree root removal performed or you may have to dig up the invasive roots. If you’re looking at this option, please read our previous blog post on how to remove tree roots from pipes. There are times when the pipes are too badly damaged by the roots and will have to be replaced. A video inspection will help determine what needs to be done to fix the problem. 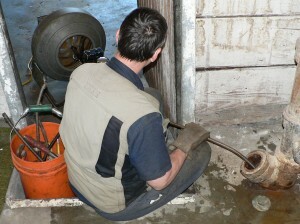 A hydro-jetting of your pipes may be required depending on the reason for the blockage. 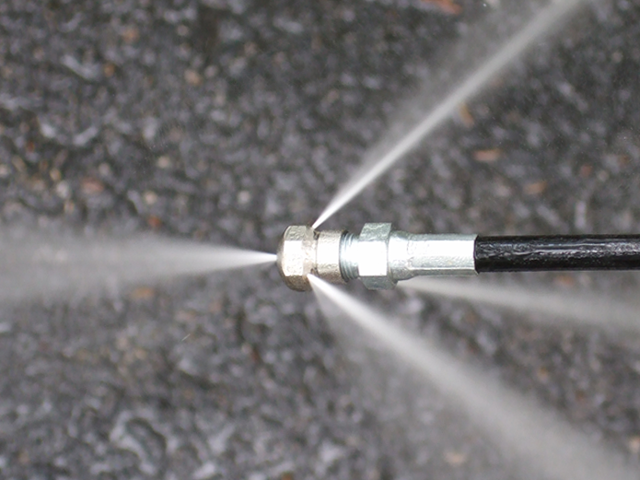 A hydro-jetter pumps up to 4,000 psi of water through your pipes to clean them out and remove the blockage. After hydro-jetting, if the hydro-jetting was done due to roots in your pipes, you can have your plumber flush your pipes with a chemical to kill any remaining roots, if the root invasion wasn’t too severe to begin with. Keeping your sewer pipes clean is just as important as any other preventive maintenance task you perform on your home. Therefore, you should schedule a cleaning every 18-22 months if you want to avoid the hassle of a sewer back-up or allowing a problem to go undetected to the point it becomes a major repair. 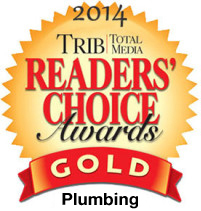 If you’re a resident of the Pittsburgh area, then let Terry’s Plumbing help you out. 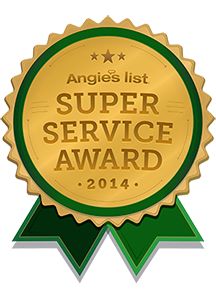 Schedule your sewer cleaning today! I had no idea that gurgling sounds coming from the pipes are warning signs that they should be cleaned. I grew up with pretty noisy pipes, so I always assumed that it was normal. I will have to remember that the next time I hear a gurgling noise. I always thought it was a rumor you shouldn’t poor grease down your drains. After reading what you wrote about it I know I won’t do that again. I’ve been doing it for awhile now. I’m going to start looking into a plumber. You stated that as a good preventative measure you should have your sewer lines cleaned every 18-22 months. Do most plumbers offer regularly scheduled maintenance for residential sewer lines? My cousin and his wife came home from a long road trip and noticed a really awful smell hovering around their property. Finding a reputable plumber to come and clean their sewers might be a good idea. This is really interesting information about sewer lines. I had no idea that they needed to be cleaned at least every 2 years or so. I don’t think that I have ever had my sewer lines cleaned. I never knew it was an issue, but I will make sure to get on top of it now that I know. My wife and I have recently purchased our first home. We don’t have any experience maintaining a home, and we’re looking for advice. I didn’t realize grease can solidify in pipes causing blockages, and a sewer cleaning service should be called if this should occur. I’ll be sure I remember this information moving forward. It is really interesting information about sewer lines. I appreciate your efforts that you have shared with us. 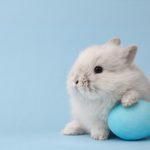 This post is really helpful for me and will also forward your post to my friend who finding the information on the web. Keep it up great work. It was great that I found your article because I never actually thought that pouring grease down the drain is a bad idea until I read it. Mom usually does that, and I do too because we both thought that it’s alright to do that. Now I’m getting really worried. Maybe it’s for the best that we get professionals to get the drains cleaned just to be sure. Thanks for sharing! I think my sewer is clogged up. Having it cleaned would be a good idea. Someone with experience should do this for me.